International Day of Forests 2019 carries the theme ‘Forests and Education’, which seeks to raise awareness on how sustainably managed forests contribute towards achieving sustainable development. At RER, we have developed long-term management plans to ensure that our protected and restored forest areas – 130,000 hectares in Kampar Peninsula and 20,000 hectares in Padang Island – remain this way. We acknowledge that forest degradation is primarily caused by human activity such as illegal logging, which is why we have taken the necessary steps to work with nearby local communities and ensure that the ways they use the forests for their livelihoods are carried out sustainably. In the past, communities living around RER would carry out the common practice of slash-and-burn farming – using fire as a method to clear land for agriculture. To them, burning was the quickest and cheapest method, and the residual ashes afterward were a good fertiliser for growing their crops. However, this traditional way could also be dangerous when fires are difficult to control, particularly when they are peatland fires and spread to the forests. 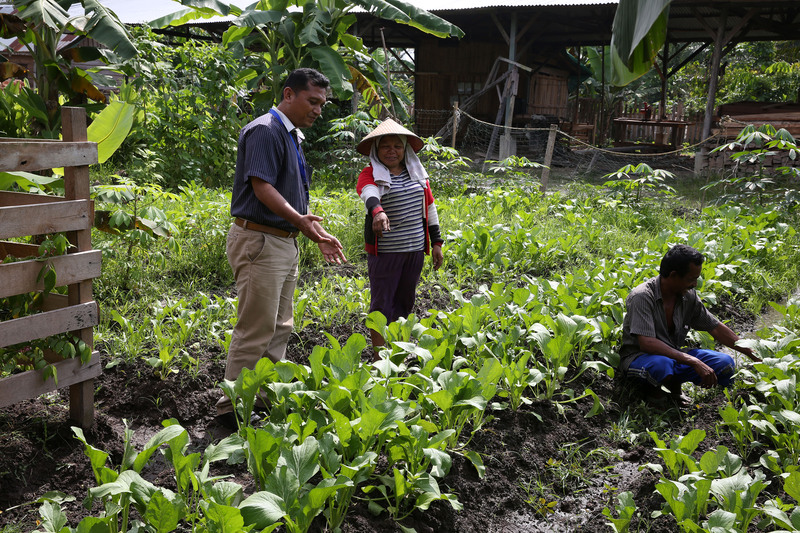 But RER has worked with the villagers in Kampar Peninsula and Padang Island to set up a no-burn farming programme, which prevents the slash-and-burn practice and instead provides them with alternative methods of land preparation which produce valuable food crops. These are mainly vegetables including red and green chili, red ginger, eggplants, tomatoes, cayenne and green beans, popular crops which fetch a decent income for the farmers. RER provides villagers with alternative methods of land preparation which produce valuable food crops. Before 2016, fishermen residing near the river in the RER area in Kampar Peninsula used poison and electricity to kill and catch fish. They were also setting fires to clear vegetation which grow along the river – all practices which they didn’t realize would pollute the river ecosystem and cause the fish population to die out due to overfishing. These days, the fishermen no longer carry out the illegal fishing practices. However, RER has since educated them about the dangers of these practices, and how continuing them would harm the biodiversity, ecosystem, and their means of living. 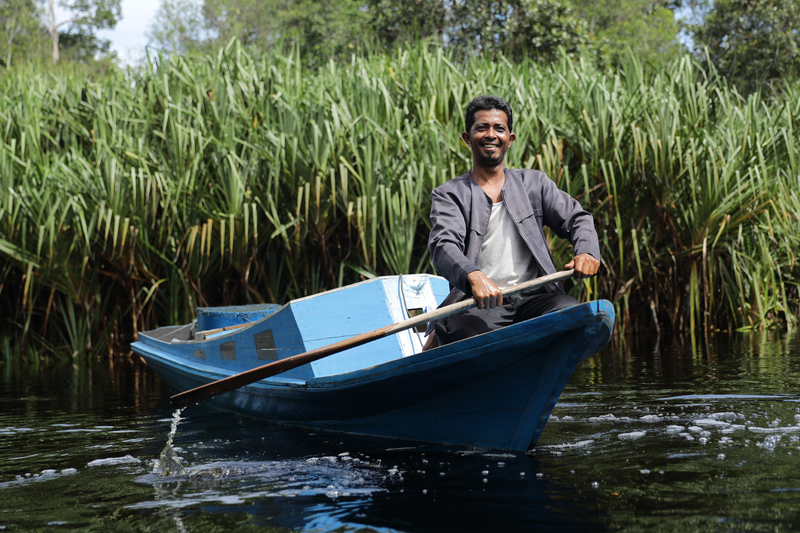 These days, the fishermen no longer carry out the illegal fishing practices, and instead use proper fishing equipment such as fishing nets provided by RER. RER has also recorded increases in their monthly fish production, compared to the past.